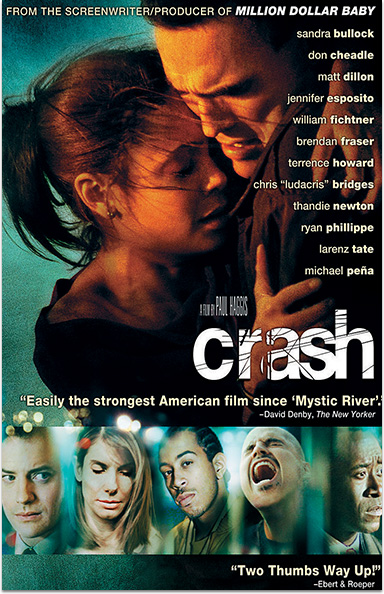 Winner of 3 Academy Awards® including Best Picture, Crash takes place in the diverse metropolis of Los Angeles and challenges audiences to confront their prejudices. Lives combust when a Brentwood housewife and her district attorney husband, a Persian shopkeeper, two cops, a pair of carjackers and a Korean couple all converge. CRASH © 2004 ApolloProScreen GmbH & Co. Filmproduktion KG. All Rights Reserved. Academy Awards® is a registered trademark of the Academy of Motion Picture Arts and Sciences.